Wondering what it means to dream of a library or what a library might symbolize? If you are dreaming of being in a library in your dreams or notice libraries as a common sign in your life, it is definitely a symbol to pay attention to! A library is a collection of books and can be a public community library or a private library in someone's home. 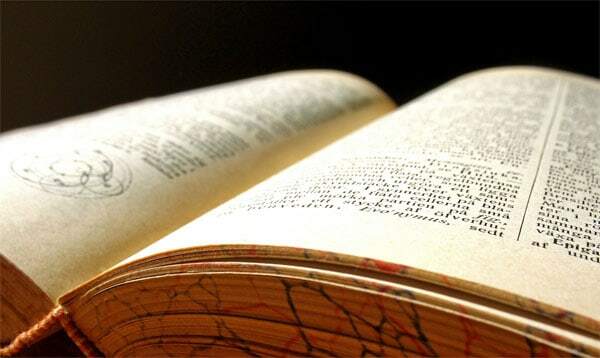 The type of library, as well as features of the library, will all help you understand the meaning of the dream. There are many things a library can mean, whether you dream of being in a library or seem to notice a lot of current things in your life seem to surround a theme of being in or near a library. Wisdom: A library is a great source of knowledge and research, and can often be seen as a symbol of wisdom in our dreams. Hidden Knowledge: A library can be a sign of hidden knowledge and wisdom. You may need to do some research! It could also mean that things are not as they first appear, and you need to dig deeper. Search for Knowledge and Ideas: To be looking for a book in the library symbolizes your search for knowledge and ideas. It could represent the need to find a solution for a situation in your life, or your quest to find the meaning in your life. 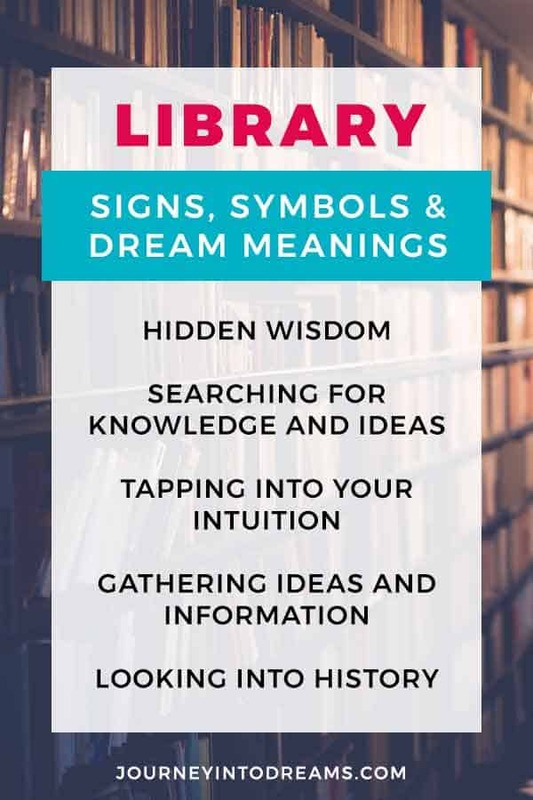 Tapping Into Your Intuition: A library is often viewed as a symbol to dig deeper into your own inner wisdom and intuition. If you dream about a library, it may mean that you are beginning to explore your intuitive gifts. Looking Into History: A library can be a symbol for historical information and record keeping. There may be clues about past lives, or it could mean there is something in your current life that is surfacing because of the past. Private Library: A private library denotes your subconscious wisdom. It can also represent your own private thoughts. It may mean there are things you are not quite ready to share with others. Sometimes, when you are trying to understand what a sign in your life or dreams may mean, it can be helpful to pay attention to the details! Here are some questions to ask yourself that may help provide more insight into what the library may mean in your own current life. What words do you use to describe the library? Think of 5 words that describe the library. Is there a situation in your life that can be also described by these same words? What are the characteristics of the library? If the library is old, it may represent past learning experiences - if it is new and modern it may represent your quest for knowledge. Think about the different features of the library - are the shelves low or high? The height of the shelving may have something to do with your ambition. Is the library well lit or dark? The lighting may represent your enlightenment about a situation in your life. Is this a library you have visited before? If you are dreaming of a library you have visited before, what associations do you have with that place in your waking life? If it is not one you have visited before, does it remind you of any other places you have seen or been to? Do you have any other possible dream interpretation meanings for library? Do you have any dreams where you were in a library that you might like to share?